Hybrid of galvanized and stainless steel. In front, a minimum use of sticker art in red and orange for the front hood and center grille and lettering. 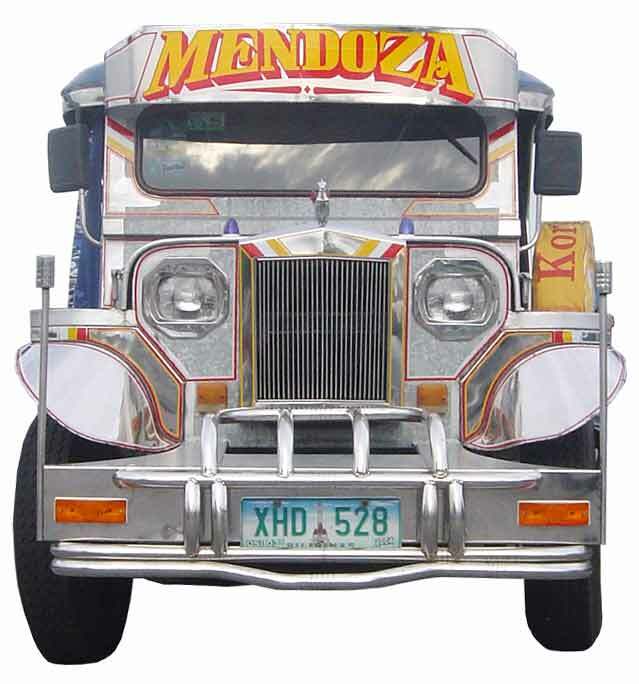 Mendoza, the family name, blazoned on the panel board. Note yellow sleeve or case on the spare tire.